What About the Market Efficiency? Efficient Market Hypothesis states that the stock price at any given moment accurately reflects all the information that is available. One implication of this hypothesis is that the stock prices will never trade at a discount or a premium to the intrinsic value. Value investors believe that the markets are generally inefficient in the short term. Stock prices can and do move to the extremes on both the up side as well as the down side. While Efficient Market Hypothesis is an useful approximation to how the stock market works, it does not work in all situations. How to Insure that the Valuation Gap will Close with the Stock Price Rising? :After all, it is also possible that the intrinsic value of the company may fall!The short answer is that if there is a reasonable confidence that the company will remain profitable in the near future, it is very likely that the intrinsic value of the company will not decline, and only grow. 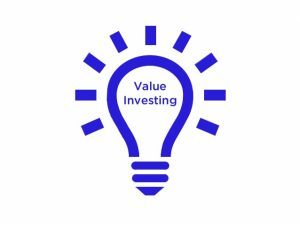 A growing intrinsic value should in the long run cause an increase in the stock price. However, keep in mind that companies may be able to show an accounting profit even as in reality the business may be running losses, at least in the short run. It is best to adjust the accruals to cash basis where possible to get a true picture of the business fundamentals. Cash flow analysis becomes critical. Most classical value investors eschew any reliance on future revenues or profits as these are inherently unreliable. Rather, they insist on enough intrinsic value to exist in the net assets of the company. Using a balance sheet is a more conservative way to calculate intrinsic value than running a discount cash flow calculation using estimates for future cash flow or earnings. This narrows down the investment options considerably. A value investor needs to cultivate discipline and only invest when the conviction is high and risk of capital loss is low.